Kolkata, December ,2018: Retro reigns supreme this month at Monkey Bar (Delhi, Mumbai and Kolkata) with ‘Comeback Wednesdays’ every week, 8 pm onwards. We all love a good musical flashback, whether that involves grooving to your favourite 80s tracks or channelling the 90s with a bit of old-school RnB love. No matter what era your heart is stuck on, Monkey Bar gets you into the mood to party. Presenting the city’s best retro night with ‘Comeback Wednesdays’so you can don that old-school get-up, prepare for some time travelling and groove to your favourite retro playlist! With an in-house DJ spinning a nostalgia-inducing line-up of favourite hits from the 80’s, 90’s and later, an amazing cocktail list of heady libations inspired by old school classics like Gimlet, Mai Tai, Blue Lagoon and a selection of awesome bar snacks including Chicken Lollypop, Bacon Wrapped Prawns, Nargisi Kofta and more, that will make sure you won’t go home hungry- we’ve got all you need for a good mid-week party. 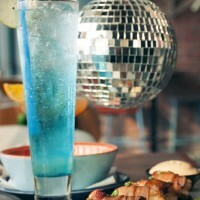 Our wild retro playlist, and all the action at the bar that will take you all the way back to the good old days. Polish up those dance moves and get ready to groove from 8 pm onwards. We shuffle the playlist to bring alive all your favourite tracks from the 80’s and 90’s. From rap, to pop and rock, it’s all about the bringing alive the songs you grew up with, fell in love with and danced to, and it’s going to make that ‘Summer of 69’ come ‘Back to You’. If that’s not all, we are also serving up some old favourites at the bar as well with the option of pitchers or opting for your preferred brand to enhance your cocktail. Order the 1920s favourite Gimlet with Gin, sugar and lime juice or the famed Mai Tai known to have started the entire Tiki culture in the USA. 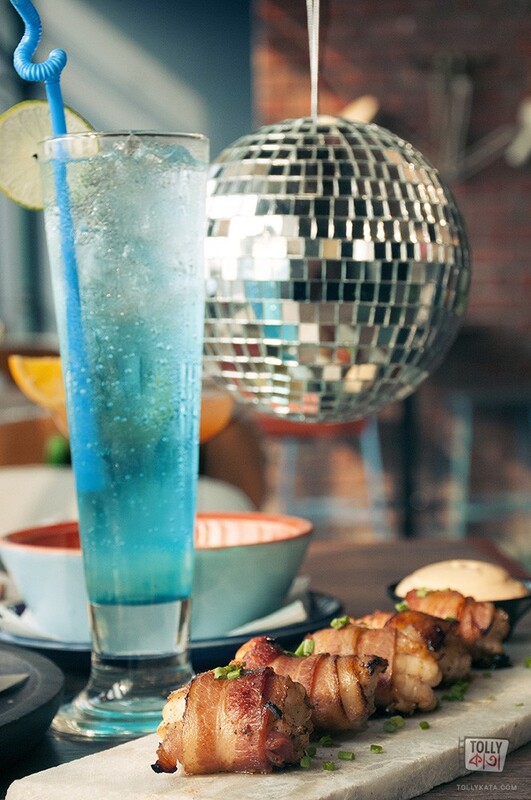 We also have the hugely popular Blue Lagoon with Vodka, blue curacao liqueur and lemonade that first originated in Paris in a small bar called New York. We also have the Planter’s Punch with Dark rum, pineapple juice, sweet & sour and bitters,first made by a Jamaican Planter to cool down the workers in his field.Also on the bar menu Is Rolling Stone supremo Mike Jagger’s favourite Tequila Sunrise made with tequila, orange juice and Grenadine. If that’s not enough there is Mint Julep with Whisky, Sweet & Sour and mint or the Mericano with Campari, Sweet vermouth and soda. Stock up for the evening with our fabulous small plates, which also bring alive the good old days of simple meals and voracious appetites. This special menu stars a whole bunch of old-time favouritesfrom the ever-popular Chutney Club Sandwich with mint chutney, aloo bhujiya, lettuce and fried egg to Chicken Frankie with spicy chicken, green chilli and onion rolled with a flatbread or the Chicken Lollypop- the spicy Indo Chinese chicken wings with ingipulli. to Pan Toasted Ham and Cheese sandwiches. 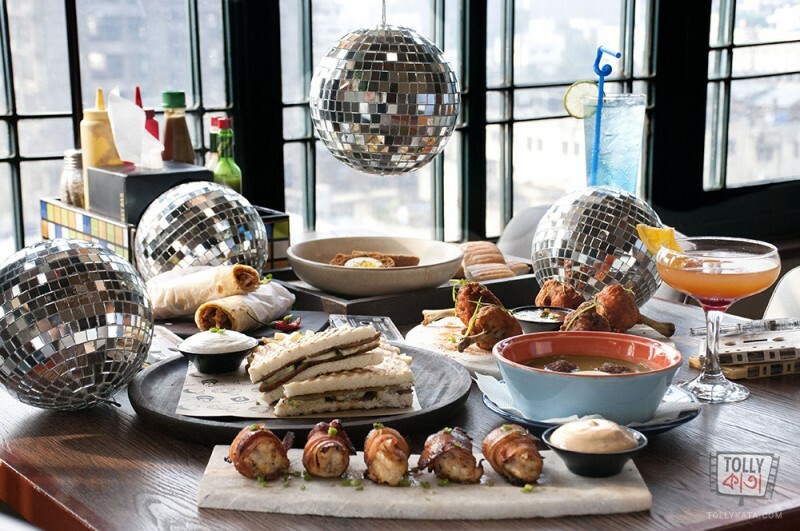 How can we leave out the Nargis Koftas of hard-boiled egg coated with spiced mutton mince and deep fried served with buttered pao, or the Bacon Wrapped Prawns with BBQ mayo- this snacks menu is all about comfort food and great taste. Let Comeback Wednesdays, at Monkey Bar bring alive those good old days, when music, the company of good friends and a great cocktail was all you really needed!